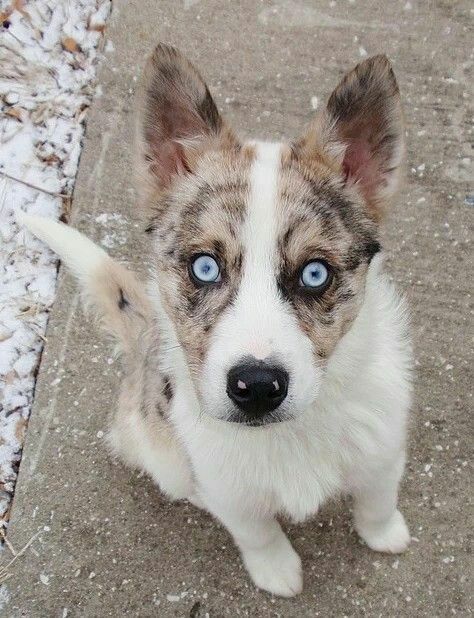 » The Irresistible Australian Shepherd Husky Mix! The Australian Shepherd Husky mix is the cross breed of the Australian Shepherd and Siberian Husky. Apart from its beauty, this dog has so much more to offer than just its appearance. Whether as a pup in its tender age or as an adult, this dog will melt your heart. This article is aimed at giving you insight on the Australian Shepherd Husky mix, featuring their history, physical appearance, personality, health and grooming procedures. The only way you can get to know how designer dogs came to be is by analysing the individual parent breeds’ ancestral information. The Siberian Husky has a number of nicknames, including Chukcha and Sibe. This dog originated from Siberia, in Russia, where it was commonly used as a working dog. The fact that it could manage to pull light loads for a long distance and at moderate working speed, the Siberian Husky breed gained the interest of many explorers. Read here to find out if you can shave a husky. 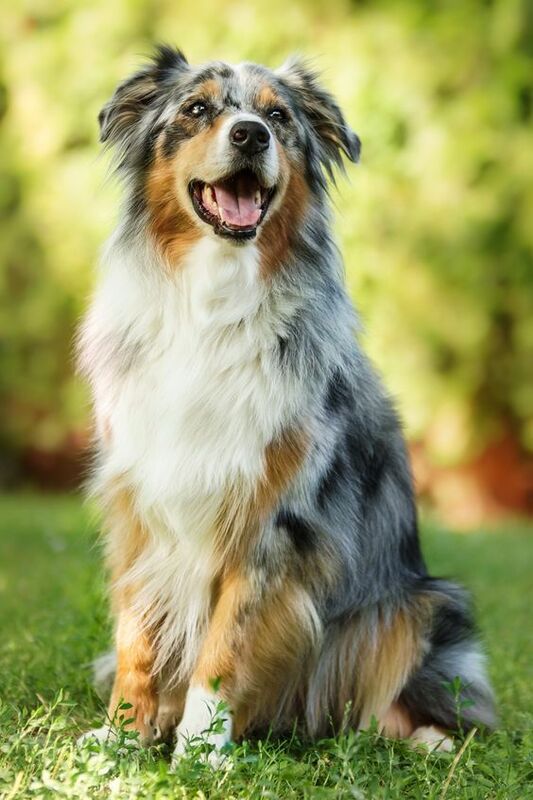 The Australian Shepherd, or Aussie, originated from the Basque Region in Spain. Note that the name of this dog might be a little misleading. Initially, the dog was used by shepherds to herd livestock. The group of shepherds who had this dog later migrated to America through Australia, where it was given the name Australian Shepherd. The Australian Shepherd Husky mix has acquired a whole list of genetic traits from its two parent breeds. As a result, the traits of one parent breed may be more dominant than the other. In addition, the mix you get, after the cross breed, depends so much on the competency of the breeder, too. The coat colours may appear to be diverse in the puppies, as well as personalities and facial structures. Naturally, this mix is a friendly dog that would get along with family members. However, it could be hostile to new, unfamiliar faces. From puppyhood, it needs to be exposed to both people and other puppies. The early socialization ensures that the puppy grows up to be a well-behaved and friendly dog. For instance, you could take it for long walks in the park, or even enrol it in agility classes in the neighbourhood. The general overview is that this dog is friendly, protective and welcoming to unsuspicious visitors to the homestead. Generally, this is a healthy dog; however, it could be prone to a few health conditions inherited from its parent breeds. Most of these conditions can be avoided if you use a certified breeder with high professionalism on the breeding process. Ask your breeder about the genetic health problems that may affect the mix. You should only use a breeder who can give you the health guarantee certificate of the parent breeds and who has given it all the necessary vaccination medicine by a veterinarian. The Aussie Husky is prone to both hip and elbow dysplasia. That being the case, adding fish oil to its diet would be a very good idea. Or you could include tuna as a fish diet for your husky. This ensures that it doesn’t gain so much weight. The excess weight affects the bones because of too much strain. There are a variety of dog foods out there, but to get the right one, you should consult your vet. This is because some foods could cause allergies to your doggie. The food should always be selected according to its health conditions, weight and age, too. Aussie Husky’s mix fur is medium length, while their undercoat is thick and bushy. This means that this dog breed needs frequent brushing to prevent matting. The dog should be bathed, too, but only when they are dirty to avoid dry skin. 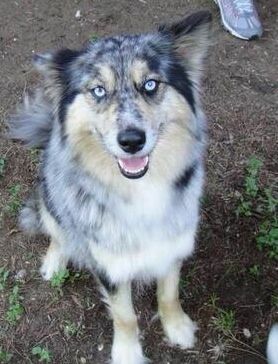 From the description, above, about the Australian Shepherd Siberian Husky mix, it can be a good addition to your family. It makes the ideal pet, but only for someone who has equally high energy levels. Dedicate your time to take care of it and it will serve you longer than you expect.